Ending up with 3-points just like Orlowski and Coelho, Martin said he was, ‘unlucky not to be second I guess but also lucky to get a good leg 2 result’. 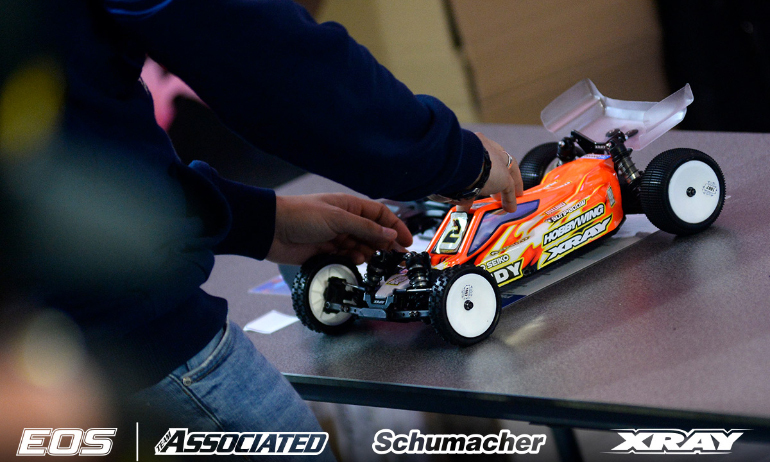 The Yokomo driver added, ‘I’m happy with the podium but I’m always gutted to lose on a tie break’. 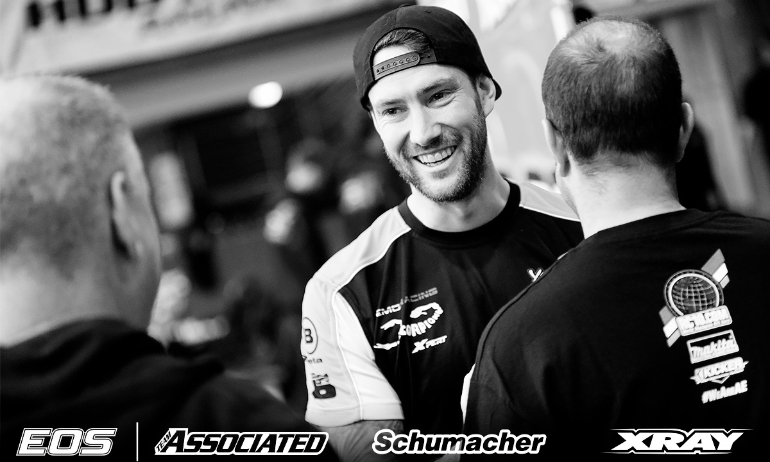 The former back to back 2WD Champion continued, ‘the grid around the corner hurt my overall time but the two guys ahead were really good this weekend’. 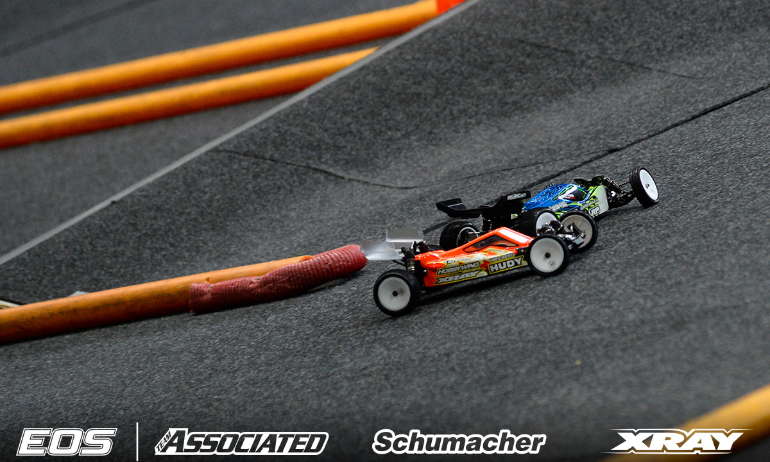 Claiming a TQ at the opening round and a win in Daun, Martin said he is ‘gutted’ this is his last EOS outing of the season. The 8-time EOS race winner explained, ‘Unfortunately I can’t attend the last two because my schedule does not allow. 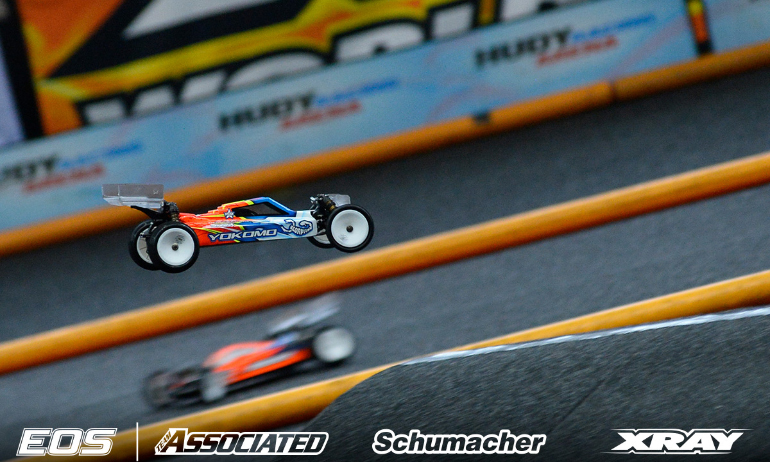 I have to race the British 1:8 Nationals in order to qualify for the Worlds next year. I’m gutted I’m not able to race because they are on astro and I’m normally good on astro’. Reacting to his A2 win a very happy Martin said, ‘the gap the whole race was basically where I started and he started on the grid’. The championship leader continued, ‘you are almost going 100% so you can’t take big risks to try and make time. I saw he (Orlowski) was not jumping the table top so I was settling for 2nd because he was going safe. Then he had a lucky crash, well lucky for me, unlucky for him. I’ll take it’. 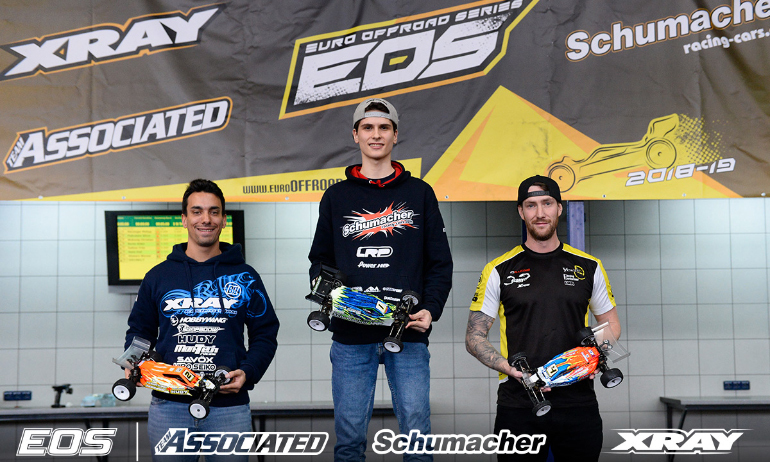 Winner at EOS Daun last month, his first in 3 seasons, the British driver said, ‘I now have a 1 and a 3 which should get me a podium so I’m going to go all out for the win in A3’. ‘I threw it away. I only have myself to blame’, was how Orlowski described his error. He explained, ‘I was looking at the finish line and relaxed too much. I turned in too early and clipped the corner’. Quick to put the error to the back of his mind, the Pole continued, ‘there is still one more to go and Bruno has to beat my time from A1 which was pretty good. It was a clean one. I’ll be at the front and able to control the race. I just have to try make sure Lee doesn’t win and keep Bruno behind me’. Coelho described his contact with Orlowski as ‘bad luck’. 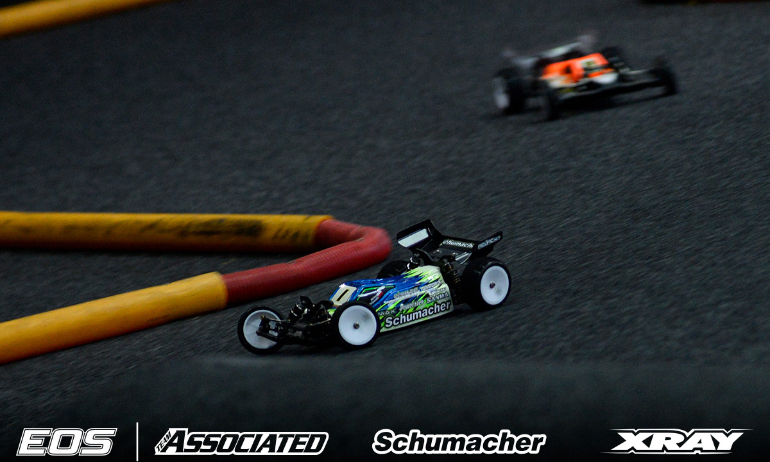 The EOS Poland winner added, ‘My car was very good because I was on new tyres and I was attacking a lot. It was hard to make a pass because I didn’t want to make contact but then Michal made two mistakes and we touched on the second one and I flipped’. 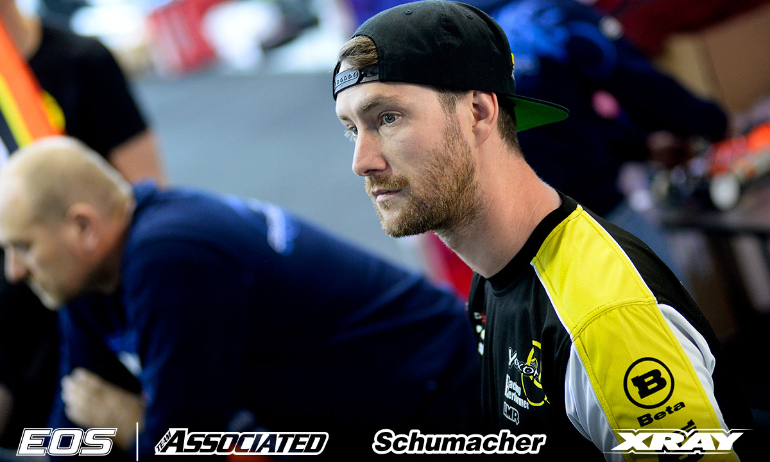 With Orlowski throwing away the race in the same section of track in which Coelho’s race challenge came to an end, the former 4WD World Champion said, ‘Still open and if my car is still like it was in the last race I will be going for the win. I stopped to save my tyres so I think I am in the best position for the final’. 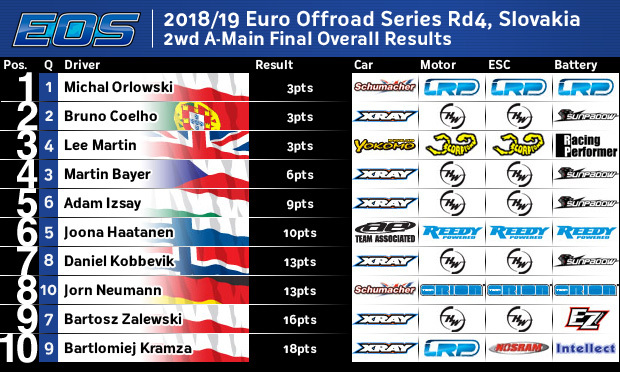 Michal Orlowski took a rather easy win in A1 of 2WD at the Euro Offroad Series in Slovakia this morning after two mistakes from key challenger Bruno Coelho gave the Schumacher driver breathing space to move one step closer to his first win of the season. 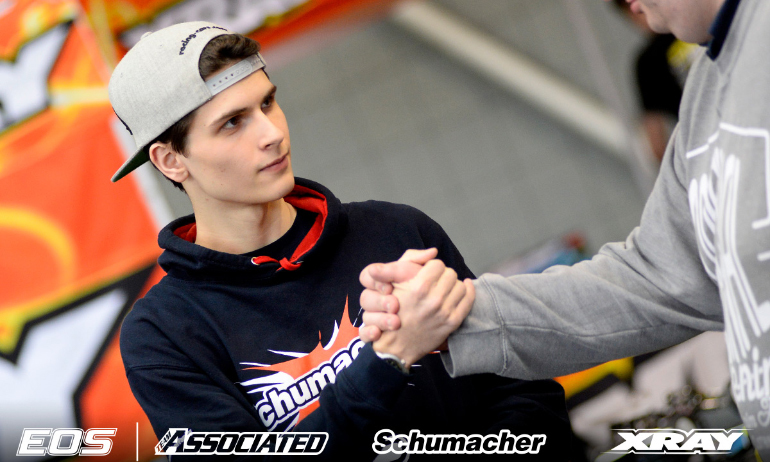 Starting on the TQ, Orlowski was pressured by Coelho over the opening laps forcing the reigning champion to drive defensively but still the duo pulled clear of the field. On lap 5, Orlowski finally got his break when Coelho lost almost 1-second with an error. A second error at the table top 3-laps from the finish would allow Lee Martin, who eventually got by Martin Bayer, to get close but Coelho edged out the gap to 4/10th by the finish while up front Orlowski had already crossed the loop over 5 and a half seconds earlier. ‘Finally I didn’t crash at the start of the run’, was Orlowski’s reaction after the race. 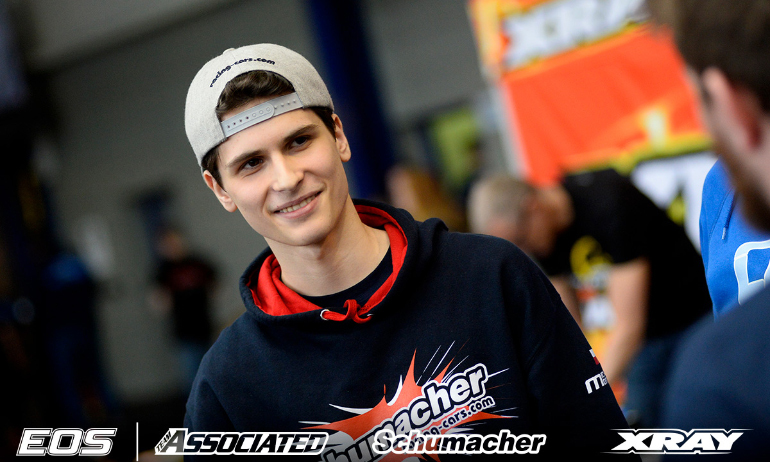 His third consecutive TQ of the season but still missing the first win of his title defence, the Pole continued, ‘Bruno was pushing hard in the beginning and I had to drive defensive. I was glad he made a mistake, it made it easy for me and I could get into my rhythm’. 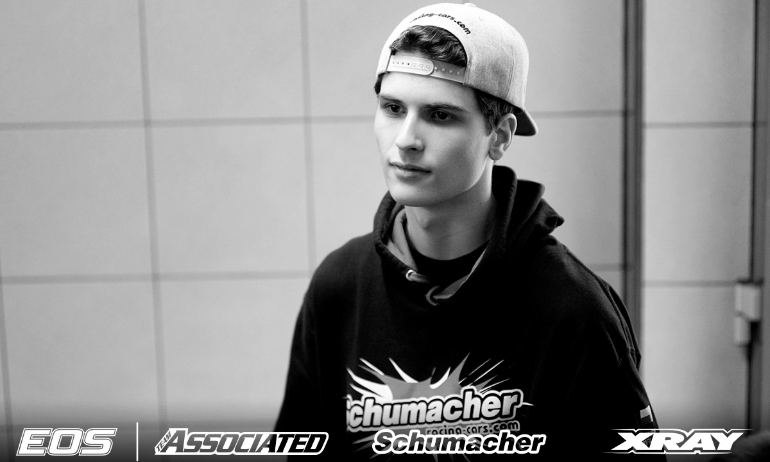 Looking to A2 when he could secure his third consecutive Hudy Arena win, he said, ‘I was on tyres from Q4 in the first one and will run a new set for A2. We will make a small change on the car for this (the new tyres) because new tyres are more aggressive’. 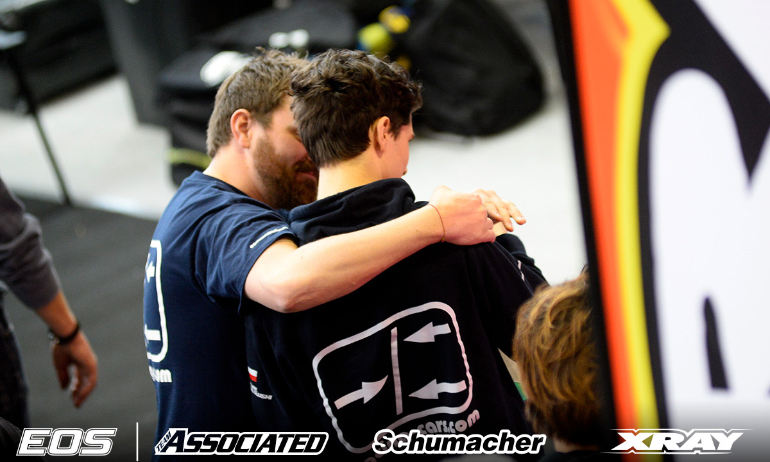 Summing up his race, Coelho said, ‘Orlowski was stronger and was pulling away slowly. I was trying to catch him but was not successful. I had to force and ended up making two mistakes. I wanted 1st but sometimes it is not possible. The next one I’m on new tyres so hopefully I can do better’. Following yesterday’s controversy over Xray laps of the track on Thursday, the Portuguese driver wanted to highlight he wasn’t even in the country at the time of the incident – something RedRC can confirm as we met him in Vienna Airport as we waited on the delayed arrival of Race Director Scotty Ernst’s flight. The Touring Car World condemn his team’s actions and didn’t hold back in expressing his opinion that the EOS should have taken tougher actions. On his race, Martin said, ‘It was a good race. The Top 2 pulled away as myself, Bayer and Joona lost time battling. If I had got passed earlier maybe I could had a better change of at least racing with Bruno. My pace is comparable so for the next one I just need to get by Bayer quicker’. 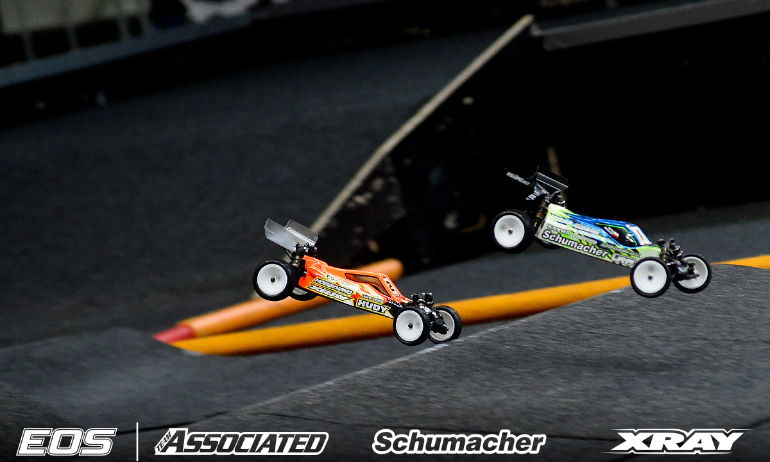 The Yokomo driver concluded, ‘It could all happen up front in the next one because Bruno has to go for it in this one’.